Home > Events > Past Event > Copenhagen 2009 vs Paris 2015: Can the media influence the outcome of the UN’s climate change talks? Copenhagen 2009 vs Paris 2015: Can the media influence the outcome of the UN’s climate change talks? 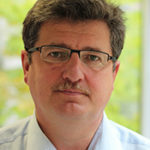 Leo Hickman, editor of CarbonBrief.org and former Guardian journalist, will compare media coverage of climate change in 2015 to 2009. Both years feature key UN summits aimed at securing a global climate deal but a lot has happened in between. Has the media’s attitude to reporting – and commenting on – climate change moved on, too? Leo Hickman is the Director and Editor of Carbon Brief. He previously worked for 16 years as a journalist, editor and author at the Guardian newspaper. Before joining Carbon Brief, he was WWF-UK’s chief advisor on climate change. In 2013, he was awarded an honorary doctorate by the University of Exeter in recognition of his journalism. His books include A Life Stripped Bare, The Final Call and Will Jellyfish Rule the World? Professor Jouni Paavola (Chair) is Professor of Environmental Social Science and Director of Postgraduate Research Studies in the Faculty of Environment at the University of Leeds. He is also Director of the ESRC Centre for Climate Change Economics and Policy (CCCEP). His research examines environmental governance institutions and their environmental, economic, and social justice implications. He leads the CCCEP second phase research theme on enabling rapid transitions in mitigation and adaptation. Leeds University Business School is located to the west of the University of Leeds campus, at the junction of Clarendon Road and Moorland Road, about a 20 minute walk from Leeds city centre. The Maurice Keyworth Lecture Theatre is situated in the Maurice Keyworth Building, just past the Business School reception. You will be able to enter the lecture theatre from 5.40pm. Please aim to be in your seats no later than 5.55pm to allow a prompt start at 6.00pm.